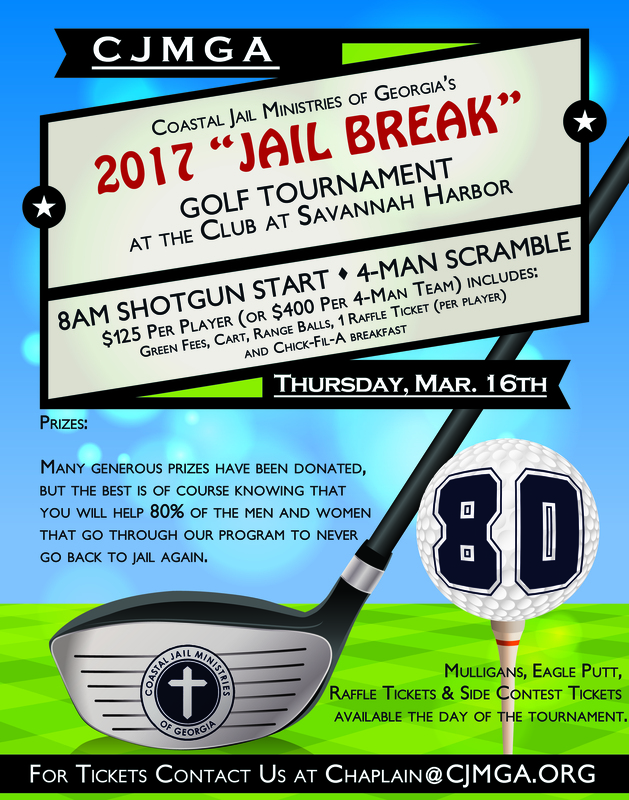 To raise support the jail and transitional ministry, we're holding it at The Westin Savannah Harbor Golf Resort (map/directions) the day before St. Patrick's Day. We're looking for both men's and women's teams this year, so call all the golfers you know! We'll meet at 8:00 am for a shotgun start, or come a bit earlier for a free breakfast biscuit from Chick-fil-A. Marshmallow long drive (3 for $10). Please click the button below to sign up, call 912-652-7755 to talk to a chaplain, or write to P. O. Box 14521, Savannah, GA 31416. Thank you for your support, and let's have a ball! *Please note these requirements must be followed exactly or they will not be able to be loaded onto the GPS units. Send these into us ASAP.